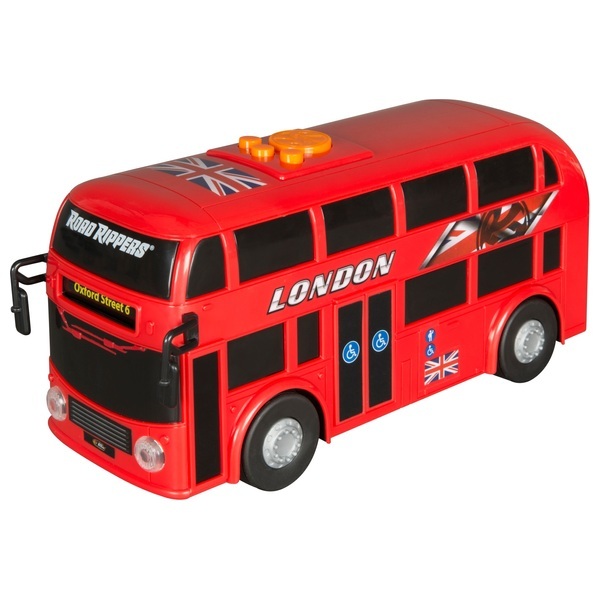 Feel like you are taking a tour of London with this Road Rippers London Motorised Bus. Press the buttons on top of the motorised bus for some cool features. Drive forward with the Road Rippers London Motorised Bus the doors will open when stopped to let your passengers on and off. You can even hear real sounds and a horn.